The NBOMes (N-benzyl-oxy-methyl derivatives of known 2C phenylethylamines) are a new and growing class of potent synthetic stimulants. Case reports provide the bulk of available safety and clinical data for clinicians. We report two cases of NBOMe intoxication with 25C-NBOMe (the first lab-confirmed US case) and 25B-NBOMe, respectively, both confirmed via triple quadrapole mass spectrometry. Case 1: A 16-year-old girl had a generalized seizure after reported use of 25I-NBOMe. She presented with altered mental status, lower extremity rigidity, and elevated CPK (6042 U/L). Despite treatment with benzodiazepines, her lower extremity rigidity persisted and CPK peaked at 47,906 U/L. She was discharged on hospital day 8. Serum and urine specimens confirmed presence of 25C-NBOMe. Case 2: A 15-year-old boy developed bizarre behavior after reported use of 25I-NBOMe. In the ED, he had two generalized seizures and persistent muscle rigidity. CPK peaked at 429 U/L. Seizures were managed with benzodiazepines, and he was discharged within 24 h. Serum specimens revealed 25B-NBOMe. NBOMes are amphetamine derivatives and highly potent 5-HT2A receptor agonists. Clinical manifestations are a product of enhanced central sympathetic and serotonergic tone. We report two cases of NBOMe intoxication in patients who believed they used 25I-NBOME, while lab confirmation proved otherwise. 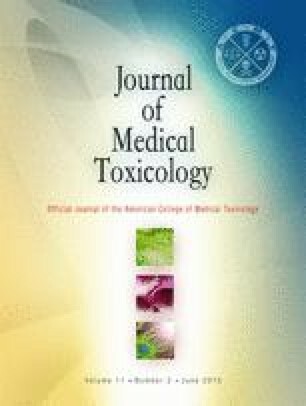 Whether unique clinical manifestations are specific to the NBOMe variant, dose, route of administration, or other factors is unknown. Laboratory confirmation may play a role in identifying unexpected NBOMe variants, while contributing to the epidemiologic data on these novel substances. Laboratory analysis was supported in part by the National Institutes of Health (NIH) Center grant P30DA033934. The authors report no declarations of interest. The authors alone are responsible for the content and writing of the paper. Laskowski LK, Calvo J, Exantus-Bernard G, Fong J, Poklis JL, Poklis A, Nelson L. NBOMes Lost in Translation: What You See is Not What You Get [abstract.] NACCT 2014.